Make a fashion statement in the White Embellished Tiger Print Hodded Sweatshirt. 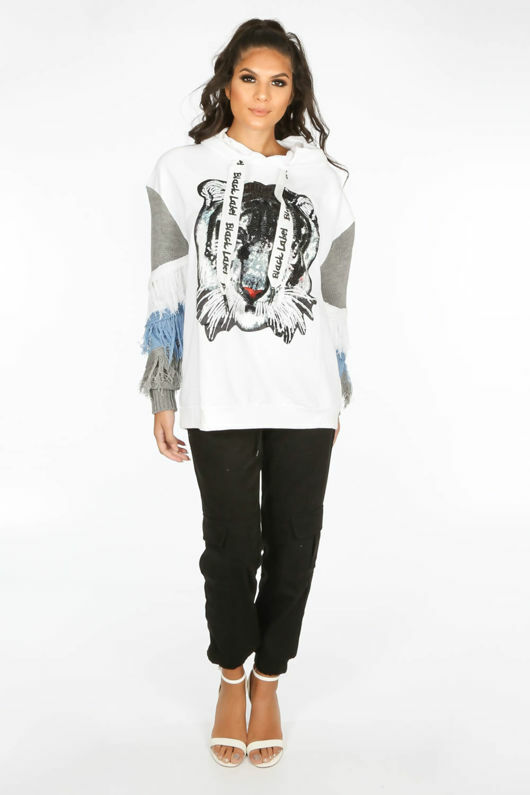 This hoodie is perfect for staying comfy and cosy througout the day. 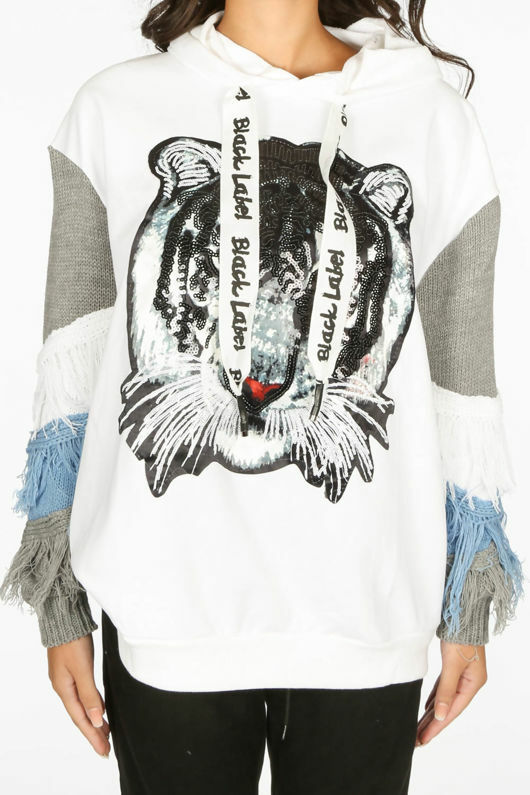 It details a sequin embellished tiger print to the front and contrast, colour block knitted sleeves with a tassel effect. 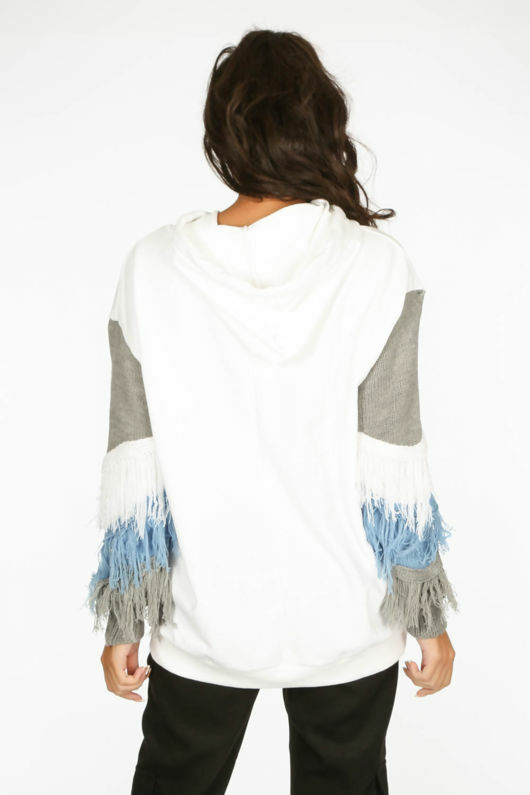 It has an attached hood with ribbon toggles and long sleeves. 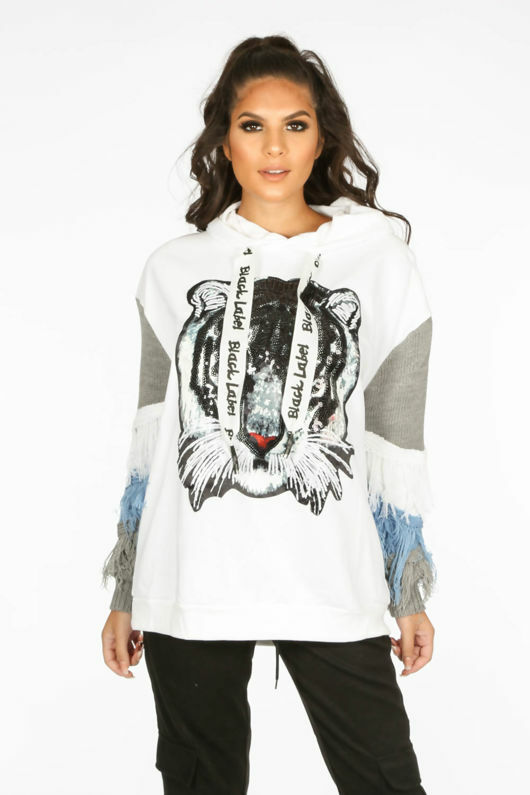 Go for a street style inspired look and wear this with a pair of joggers and barely there heels or chunky trainers.